Easiest way to prescribe exercise plans for your patients! Choose between more than 2000 exercises in our RMP database or create your exercise! Print download or email exercise plan to patient. Rehab My Patient is a brilliant and intuitive exercise software programme for physiotherapists, osteopaths, chiropractors, and sports therapists. 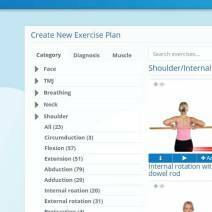 The software allows you to send an exercise programme to your patient. And the best thing is that its REALLY EASY!.. RMP is simply a website you can login to on your web browser, or you can download our app for the iPhone and iPad. 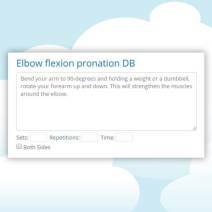 You record your patient details and then click buttons to add exercises to their exercise programme. Once you have added all the exercises, you can then type how many repetitions should be done, or how long each stretch should be held for. Then email or print the exercise programme for your patient. In our database you can find more than 2000 exercises with images, linearts and HD videos. If you can't find one you can create your own custom exercise! You can filter all exercises by Category, Diagnosis or Muscles! Also we made a super fast search so you can find any exercise very quickly. Once you have added all the exercises for your exercise plan, you can then type how many repetitions should be done, or how long each stretch should be held for or or change the exercise description. Generate fully customizable exercise plan PDFs and email them to your patient, download or print them! Great for one person. 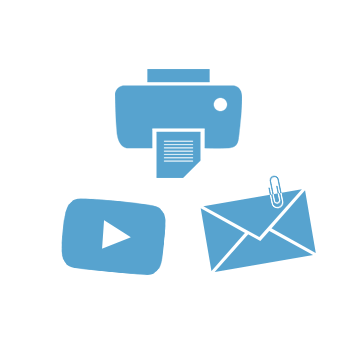 Full access to all RMP features but limited to only one user per account. Account can be used by up to 6 practitioners simultaneously. Share one login, or create individual logins for each team member! Manage all your clinics from one account. Price depends on number of clinics. Rehab My Patient has revolutionized my entire active rehab area of my office. I easily create very specialized programs that my rehab therapist utilizes for each patient. I would give Rehab My Patient 5 stars! I wish we had this 10 years ago when we first opened up. Our patients who have received their stretches/exercises have been more than impressed. What a fantastic site! Our physios have all found rehabmypatient.com easy to use and the variety of exercises certainly meets the needs of our multidisciplinary physio team. The fact that the number and type of exercises keeps growing is also hugely beneficial. Rehab My Patient has benefited my practice enormously. My patients love having their exercise/stretch plan documented. Rehab My Patient saves me time in the clinic, is improving my clinical results and gives me the reassurance I am doing the best for my patients by following best practice guidelines. We have been using Rehab my Patient for a few months now and have found it to be a great asset to our physiotherapy treatment programmes. The choice of exercises is excellent, and as it is continuously evolving and updating. It is a fantastic resource that is quick and easy to use. The range of exercises available is extensive, enabling me to provide specific advice sheets for each patient. Patients give me very good feedback on the exercise sheets I provide. I am currently into my 2nd year of using RMP & would never to be without it. It is an excellent exercise prescription programme which is quick and easy to use.